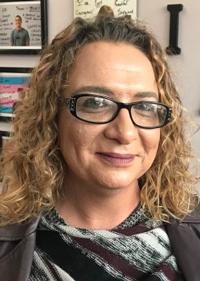 The Windsor-Essex Transgender and Allied Support (W.E.Trans Support), was founded by the current Executive Director, Jayce Carver in 2016 out of her personal desire to connect to her community and create inclusive services. W.E. Tran Support began providing individual support through a hotline then group support through the Trans Spectrum and T2: Families In Transition programs. As the community continued to grow and support each other, the agency grew and strengthened with it. Jayce Carver will present on the importance of Trans led organizations in the rainbow communities. "It really unpacks the need for community education on Trans identities, the work my organization does, my story of transitions and the staggering statistics in trans communities." Jayce will share the importance of sustaining the health and well-being of transgender, gender queer, two spirit, gender non-binary, sexual diverse and gender and sexual questioning communities and their families, by providing activities, programs and services that create community; empower community members; provide essential resources; advocate for civil and human rights; and embrace, promote and support our cultural diversity. Jayce Carver is the co-founder and Executive Director of Windsor-Essex Transgender and Allied Support. Ms. Carver, along with a carefully chosen team of like-minded community activists, is working to enhance and sustain the health and well-being of transgender, gender queer, two spirited, gender non-binary, and gender questioning communities and their families. Through evidence-based activities, programs and services that create community on a platform of empowerment, Ms. Carver focuses on the provision of essential resources and advocacy work that recognizes and honours the important of peer-led programming. With a focus on human rights, Ms. Carver embraces, promotes and supports the diversity of a marginalized population. These contributions are bringing about a reduction in isolation of Trans individuals, creating community and visibility of Trans individuals, and providing tailored supports in our community from a person-centered perspective that relies on strong partnerships with other community agencies.